“Finally!” I yelled as I threw myself out of our carriage. I don’t like to sit still for too long and the ride here was torture because my little brother went straight to sleep on my lap and I couldn’t move! Even when I saw the gigantic golden building we were about to enter, I had to sit still instead of bouncing around the way I wanted to. My father followed me out of the carriage and smiled at me, while my mother rolled her eyes. “It felt like so much longer! But when am I going to meet everyone?” I clapped my hands and looked around. I could see the actual MerCouncil room – a gigantic conch shell shape towering in the center of the otherwise layered rectangular structure. As big as the MerCouncil building was, though, it was completely dwarfed by the size of the chasm it sits inside of. I couldn’t even see the top of the rock walls around me! It was really dark down so deep, too. Thankfully, glowing stones lined the rock walls as far as I could see, so everything was lit up nice and bright. There are four main transporting caves, and since this was such a big meeting, a steady flow of merfolk came out of each one. The meeting wouldn’t begin until that night, though, so they were heading straight to their assigned alcoves. The chasm walls have numbered alcoves for miles to make sure everyone has a place to stay until the MerCouncil proceedings are over. We were staying inside of the MerCouncil building, though, along with the other MerKings and their families. We started to go inside to see our rooms when I heard someone call my name. 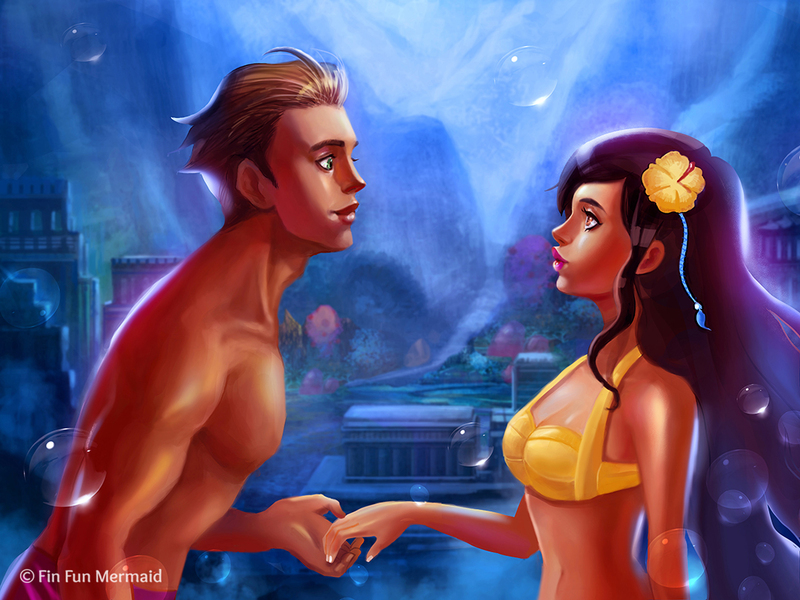 I spun around and saw a Mermaiden whipping towards me. It was Zoey, the Australian Princess! I barely had time to yell her name before she crashed right into me and we went tumbling backward, laughing. “Waverlee, I missed you! How’ve ya been? No more jellies invading, right?” she laughed and gave me a huge grin. Zoey is so loud and funny and energetic! I giggled but caught my breath as Cooper came flying out of nowhere and head butted me in the stomach! “Oof!” I grunted and then started to laugh as Zoey grabbed Cooper and lectured him. Just then, Bubbles, who had refused to ride in the carriage with us but fell asleep on top of it, came dashing up to me with a beautiful Mermaiden right on her tail. This Mermaiden had dark skin and darker hair that swirled around her head in hundreds of tiny ringlets. Her bright orange and gold tail flashed brilliantly when she moved it in the light. 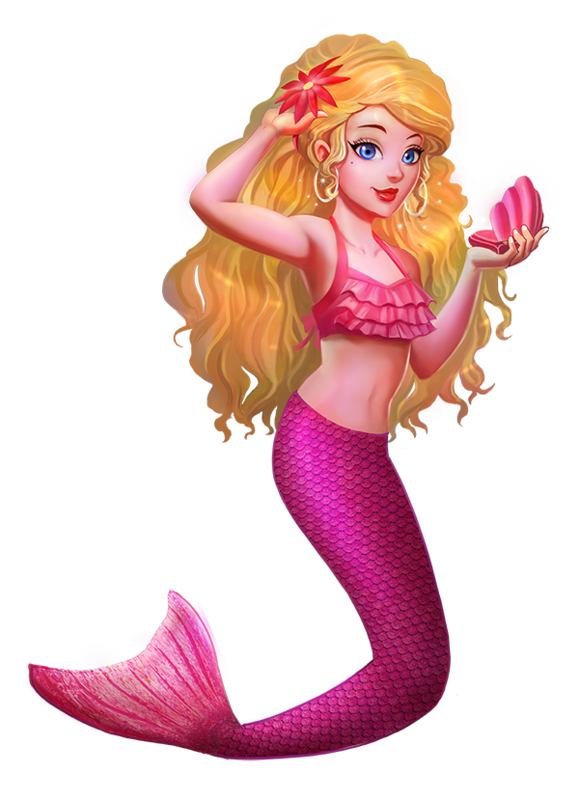 Right behind her was another Mermaiden with a lighter skin, super dark, long hair and a beautiful silver tail that shimmered whenever she moved. Zoey and I looked at each other but neither of us recognized these other Mermaidens. Just then, Bubbles, who had refused to ride in the carriage with us but fell asleep on top of it, came dashing up to me with a beautiful Mermaiden on her tail. 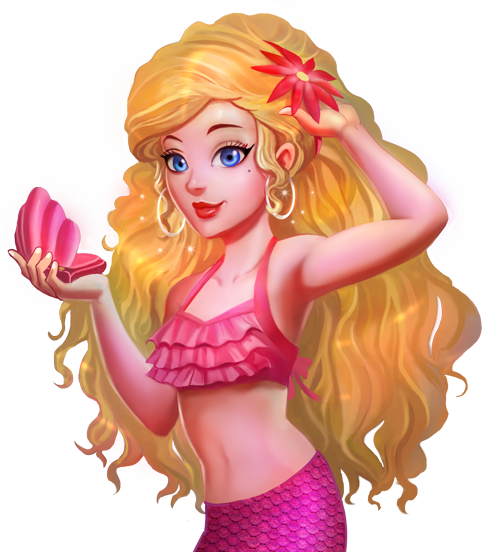 This Mermaiden had dark skin and even darker hair that swirled around her head in hundreds of tiny ringlets. Her bright orange and gold tail flashed brilliantly when she moved it in the light. Right behind her was another Mermaiden with lighter skin, long, dark hair and a beautiful silver tail that shimmered whenever she moved. 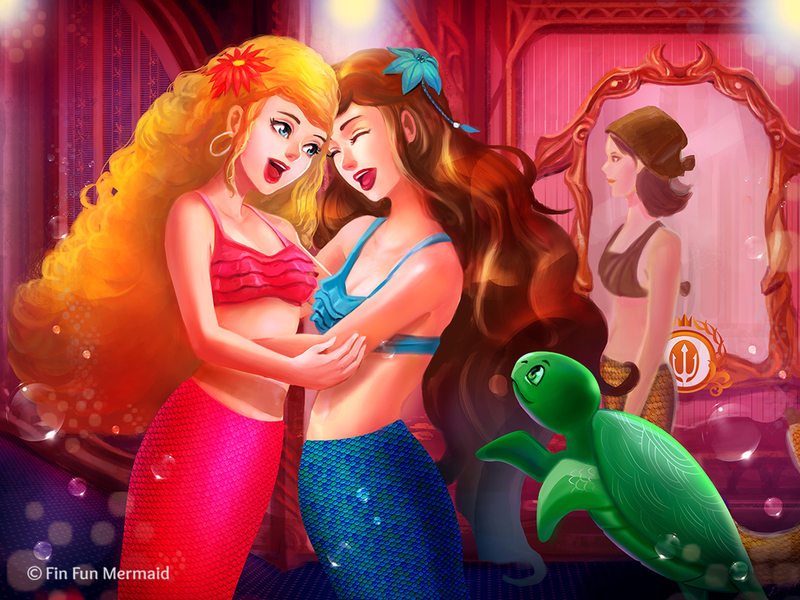 Zoey and I looked at each other, but it seemed that neither of us recognized these Mermaidens. Destiny’s eyes got wide and she quickly snatched the crab out of her hair and cupped him in her hands, muffling him. We all stared in silence at her for a few seconds before Zoey and I suddenly burst into laughter. Destiny and Serena looked at each other and smiled. “Well then, let’s go meet them!” I squealed. I grabbed Destiny’s hand and dragged her along, Zoey and Serena following close behind. As we swam towards the three Princesses, Jia spotted us and pointed in our direction. I gave them a beaming smile, and as soon as we were all gathered together we started the introductions. Jia has a cute little seahorse that follows her everywhere, Brynn’s swimalong is Fergus the seal, and Crystal’s finfriend is a penguin named Pepper. He is the most adorable little thing I’ve ever seen, but Crystal says he can be a handful. Crystal seems a little shy but super sweet. Jia is quiet and really smart. Brynn is super confident and brave. She told us all about the ships that she saves from the storms back home. I wish I could do important stuff like that with my powers! Soon, my mom floated over to us. “Mermaidens, we need to go inside now. The MerCouncil is going to start soon and we need to be ready. Waverlee, come help us unpack.” I sighed and wistfully hugged my new finfriends goodbye. Then I left to help Mom. She and Dad are sharing a room while my two brothers get their own. I get my own room too. It’s nice and bright, with lots of comfy cushions and fur wraps from the Arctic. I stayed in my room to unpack, but my parents came to get me before I was done. They told me to make sure I had the speech I’d written with me. Then they led me down so many huge halls, I felt like I was in a maze! We finally stopped in front of a pair of gigantic black marble doors. 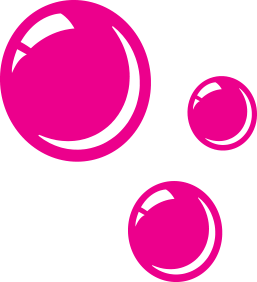 We waited there for a long time and, for the first time ever, I started to get little nervous bubbles in my stomach! I tried my best to be calm and patient. Soon, Zoey and her parents came around the corner to my left and she waved at me. I waved back and tried to say hi but my mom shushed me. I shot Zoey a look that I hoped told her how nervous I was feeling. She nodded that she understood and made a ridiculous face, surely meant to ease my worries. I stifled a giggle just as Brynn came around the right-hand corner with her parents. One by one, each of the Mermaidens came to stand around the black doors. It was killing me to stay this quiet! All of a sudden, the doors started to swing open. The bubbles in my stomach erupted and my hands started to shake. I took a deep breath as we began to swim inside the room, all of us in a single file line. I was first behind my parents so I got the first glimpse. As I passed the black doors, I noticed my reflection in the shiny surface and made sure to smooth my hair down so it looked perfect. Then I followed my parents into the dark room. The entire room around me was in the shape of a conch shell, with twisting spirals ascending higher than I imagined. The walls were covered with panels that I couldn’t see through, but I knew from my dad’s description that there were thousands of merfolk watching us from the other side. In the middle of the room was a column of light shining on a huge circular table of polished black marble. Around the table were dozens of seats made from giant clamshells, each with a fitted cushion inside. Fourteen of the seats were occupied by mermen and mermaid Council members. 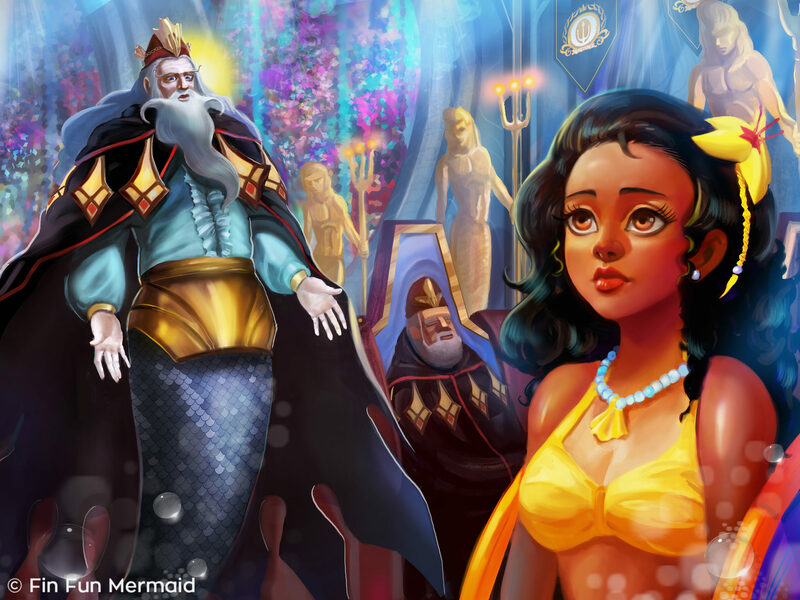 I stared at the strange merfolk seated. Some were old and some were surprisingly young! Their tails were of many colors–blue, green, pink, gold, and even red. My parents ushered me over to three of the clam chairs and sat down on either side of me. Each of the other Mermaidens and their parents did the same until we were all sitting down, staring at each other. My mom works at fin fun so thank you all for the compliments! They try really hard to do a great job! Wow! That sounds scary, going before the MerCouncil in the flesh and tail! I would probably trip over my own tail when I swam in. I’m always doing that, but usually I catch myself. 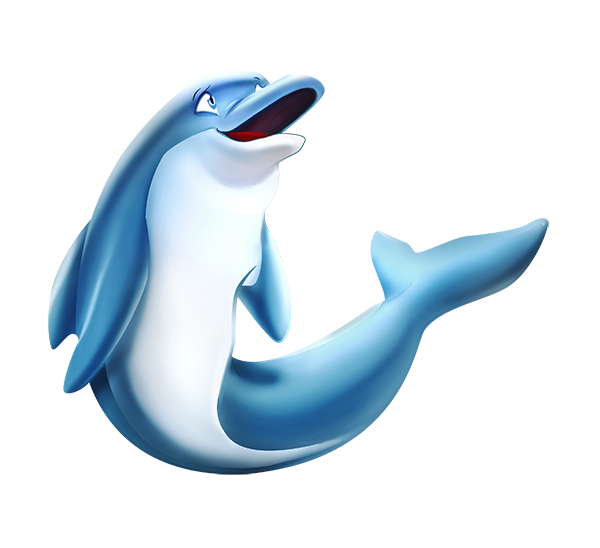 i love fin fun because all of the tails look beautiful. They are so colourful. my tail is blue, dark blue and I like your sewing you did with the beautiful tails.